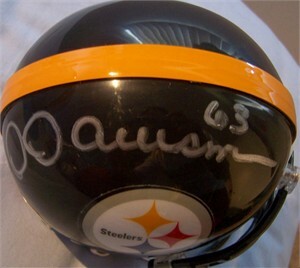 Pittsburgh Steelers mini helmet autographed in silver by Hall of Fame center Dermontti Dawson. Obtained in person. With certificate of authenticity from AutographsForSale.com.